Although I'm a massive lipstick/lip product hoarder, my collection is very drugstore based. I have always wanted to delve into more high end makeup recently as I want to have a few luxurious products in my collection to pretty much just instagram jokes and use of course...but also instagram. I knew that Charlotte Tilbury was a brand that I had to get my hands on as soon as payday came around. 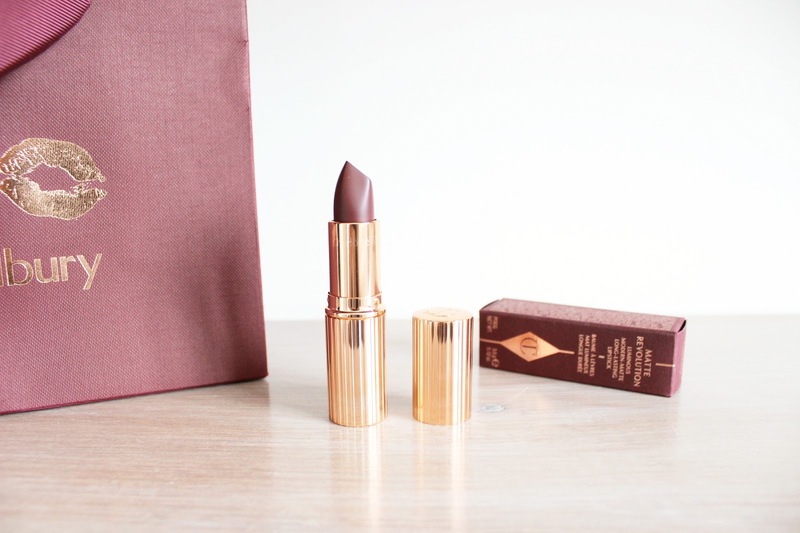 I've been eyeing up Charlotte Tilbury Matte Revolution 'Glastonberry' lipstick for over a year and I couldn't bear the thought of going into Autumn without it this year. I don't usually dedicate a blog post to a singular product but I thought, when you pay £23 pounds for one, and it looks as beautiful as this, it needs its own blog post. Firstly I don't think we can talk about this lipstick without mentioning the packaging. My god, I thought Mac packaging was beautiful, but this seriously trumps all my lipsticks. It's so luxurious with sleek-gold packaging (seriously what more could you actually ask for?). The actual lipstick matches the beauty of the packaging just as well. Interestingly, off the bat the first thing I noticed was the square-angled tip, very unusual to the usual lipstick applicator shapes I usually see. I reckon though this is what gives such precise straight lines when applying it. The lipstick also has that lovely Vanilla scent to it, similar but a bit stronger than with the Mac lipsticks, which I actually really love rather than being unscented or chemical smelling. Onto the actual colour. I found this quite difficult to really describe as it's a shade that can seriously look different on most people. I was originally expecting it to be much more of a red-undertoned berry lipstick but instead it's quite a purple shaded lipstick, which reminds me of blackberries when they stain your fingers.How autumnal am I? Although it is a matte formula, it actually gives off a little bit of a sheen, not a creme-sheen finish but just a slight dimension which I really like. I have to admit, it's not the most opaque of shades, and took two layers to apply, but saying that when it comes to a dark lip I always go for 2 layers anyways as I think that lasts better during the day. It wears really nicely during the day, although I have to buy myself a lip liner that matches the shade as it's quite unique so will be on the hunt - recommendations please girlies! 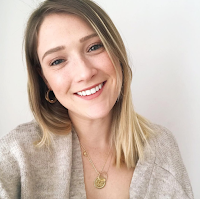 I cannot wait to wear this all of Autumn, I think it would look gorgeous with a neutral eye and literally is one of those iconic shades, guarantee you'll be seeing a lot more of this lipstick on the blog! All in all, I'm very happy with my first Charlotte Tilbury lipstick and can't wait to write more posts around it! Send me some of your Charlotte Tilbury recommendations as I really want to delve into it a lot more! I love this berry shade will be great for Autumn! 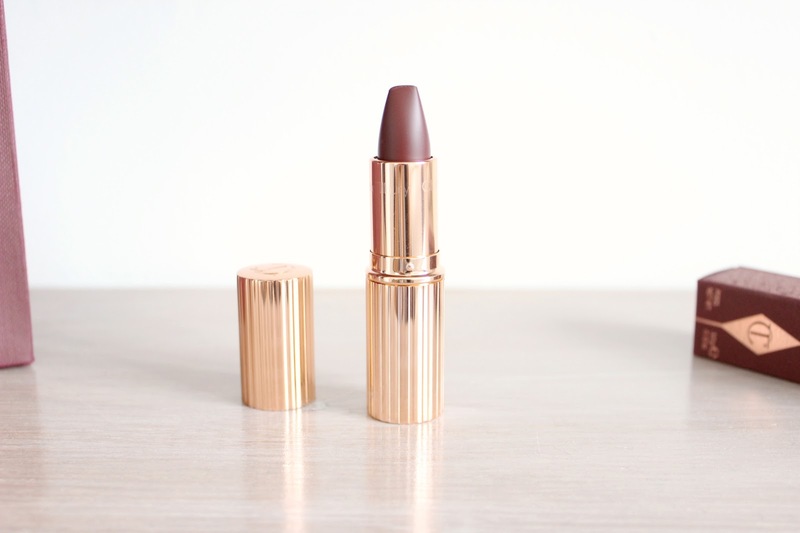 This colour was my first ever CT lipstick shade. I love it and can't wait to get it out again for Autumn. 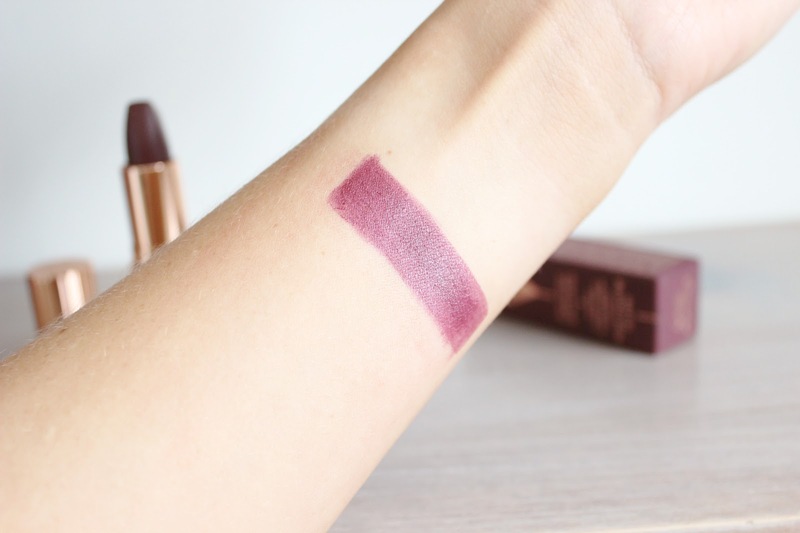 This colour is gorgeous - a CT lipstick is still on my wish list, I might just have to make my first purchase this one! This is such a perfect colour! I've always had my eye on Glastonberry but it will be perfect for autumn so I'll have to pick it up! This is my all time favourite lipstick in the world. It appears slightly more purple toned on me too, although I was expecting it to be more red. Nevertheless it's the most gorgeous colour. And I agree, the packaging is gorgeous! This looks stunning! Perfect for autumn! This shade is so lovely, I can just imagine wearing the shade on Christmas Day!! That is indeed a stunning shade for Autumn! I have yet to purchase anything from CT but I do have my eyes on her lipsticks.